Multi-source isomerism is one of the basic features of large data. 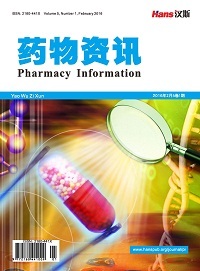 It is a hot issue in recent years to study traditional Chinese medicine diagnosis and treatment methods based on data. Building a generalization model is one of the methods to solve multisource heterogeneous data fusion and shares and extends the scope of traditional Chinese medicine data. However, the complexity of the large data of traditional Chinese medicine is high. Many problems, such as rich semantics, uneven distribution and poor objectivity, have greatly restricted the research and application of big data in Chinese medicine. In this paper, the importance of multi-source heterogeneous data fusion method under the background of Internet+ large data is discussed, and the importance of multi-source heterogeneous data fusion method based on the combination of disease and syndrome is discussed. It is the original cause of the important component of the large data of traditional Chinese medicine in the future, and the further study of the multi-source isomerism of traditional Chinese medicine. The method of large data fusion provides a theoretical reference. 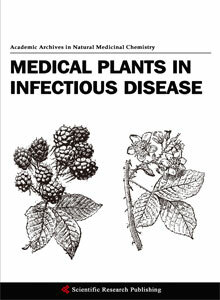 Jagadish, H.V., Gehrke, J., Labrinidis, A., et al. (2014) Bid Data and Its Technical Challenges. Communications of the ACM, 57, 86-94. Safari, S., Shabani, F. and Simon, D. (2014) Multirate Multisensory Data Fusion for Linear Systems Using Kalman Filters and a Neural Network. Aerospace Science and Technology, 39, 465-471. Lin, G.P., Liang, J.Y. and Qian, Y.H. (2015) An Information Fusion Approach by Combining Multigranulation Rough Sets and Evidence Theory. Information Sciences, 314, 184-199. 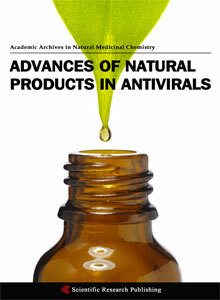 Naumann, F., Bilke, A., Bleiholder, J., et al. (2006) Data Fusion in Three Steps: Resolving Inconsistencies at Schema-, Tuple-, and Value-Level. IEEE Data Engineering Bulletin, 29, 21-31. Suk, H.-I., Lee, S.-W. and Shen, D.G. (2014) Hierarchical Feature Representation and Multimodal Fusion with Deep Learning for AD/MCI Diagnosis. Neuroimage, 101, 569-582. 蔡庆生, 卢贤若, 黄克诚. 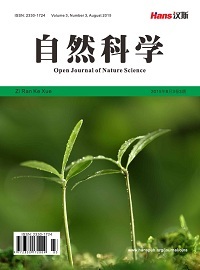 中医数学化初探[J]. 自然杂志, 1982, 5(11): 813-816, 880. 杨丽. 基于知识推理的中医临床诊疗决策支持方法研究[D]: [硕士学位论文]. 北京: 北京交通大学, 2014. 朱志鹏, 杜建强, 刘英锋, 等. 基于LDA主题模型的中医药方剂相似度计算[J]. 计算机应用研究, 2017, 34(6): 1-5. 洪燕珠, 周昌乐, 张志枫, 等. 基于随机森林法的慢性疲劳证候要素特征症状的选择[J]. 中医杂志, 2010, 51(7): 634-638. 陈楚湘. 中医诊疗标准建立及应用的智能方法研究[D]: [博士学位论文]. 郑州: 解放军信息工程大学, 2011. 王阶, 熊兴江, 张兰凤. 病证结合模式及临床运用探索[J]. 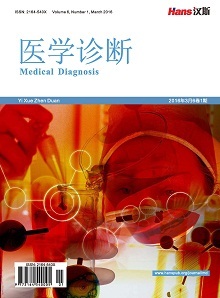 中国中西医结合杂志, 2012, 32(3): 297-299. 陈可冀, 宋军. 病证结合的临床研究是中西医结合研究的重要模式[J]. 世界科学技术——中医药现代化, 2006, 8(2): 1-5. 崔蒙, 李海燕, 杨硕, 等. 中医药信息学理论科学领域研究进展[J]. 中国中医药图书情报杂志, 2015, 39(5): 1-6. 于琦, 崔蒙, 李海燕, 等. 从大数据角度探讨中医药信息学特征[J]. 中国数字医学, 2014, 9(4): 32-34. Yager, R.R. (2004) A Framework for Multi-Source Data Fusion. Information Sciences, 163, 175-200. 化柏林, 李广建. 大数据环境下多源信息融合的理论与应用探讨[J]. 图书情报工作, 2015, 59(16): 5-10.